Thomas Devaney is a poet, educator, and a 2014 Pew Fellow. His poem “The Blue Stoop,” recently inspired a group of Philadelphia writers to name their literary hub Blue Stoop after the poem. 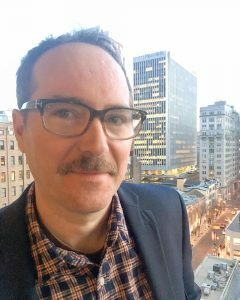 He has two forthcoming books in 2019: You Are the Battery (Black Square Editions), and Getting to Philadelphia: New and Selected Poems (Hanging Loose Press). Devaney’s books include, Runaway Goat Cart (Hanging Loose Press, 2015), Calamity Jane (Furniture Press Books, 2014), The Picture that Remains (The Print Center, 2014). He was featured on WHYY TV-12’s Friday Arts Program for his book, The Picture that Remains. Projects with the Institute of Contemporary Art include “Seven Writers” and “Tales from the 215” for “Philadelphia Freedom” with Zoe Strauss. Other projects include poems written for “Common Ground: Eight Philadelphia Photographers in the 1960s and 1970s” at the Philadelphia Museum of Art. He taught and worked at the University of Pennsylvania for nine years. From 2001 to 2005 he was program coordinator of the Kelly Writers House. 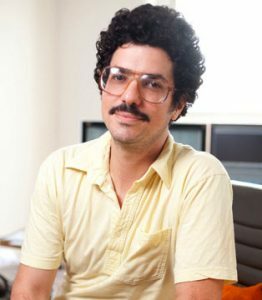 He was awarded a Distinguished Teaching Award from Penn’s Critical Writing Program in 2008. Devaney earned his MFA in Creative Writing at Brooklyn College, CUNY in 1998. A Poetic Tribute to Haverford’s Trees (spring 2010), a collaboration between Haverford’s Arboretum Association and Thomas Devaney’s Poetry Workshop led to “Under an Oak: A Tree Poetry Tour,” in which workshop students read their original poems dedicated to campus trees. The Greenhouse Media (GhM) team brings creative and technical savvy to collaborative, socially and historically engaged projects. The collaborative nature of the GhM studio has led the team to work with non-profit organizations, curators, and fellow artists and designers to realize uniquely engaging media-based exhibitions, immersive installations, museum interactives, public artworks, documentary films, photographs and more. We look at each project as a way to engage and immerse viewers in physical, intellectual and emotional experiences built around ideas, images and words. In turn, the experience can become a bridge to other people, communities and histories. Site-specific moving-image and sound design, lighting elements, projections, images and stories are used to activate spaces and imaginations. As technicians, the GhM partners bring a wide array of knowledge and skills to projects including large-scale LED video artworks, public sound installations, interactive exhibits and kiosks and documentary films. Key to GhM’s mission is a holistic understanding of relationships between different media and technologies; working closely with clients to consider the spectrum of possibilities and get the most out of exhibits and media productions. The result has been an expansive array of projects made with artists and institutions local and national, bound by GhM’s responsive approach to site, love of creative experimentation and fluency in contemporary media, technology and design. With each project, we see an opportunity to connect audience members to each other through creative exploration of our shared cultural spaces, resources, history and community. In doing so, Greenhouse Media helps our collaborative partners balance artistic and institutional missions with creative inquiry, experimentation and aesthetic value in ways that engage, challenge and inspire audiences. Natasha Cohen-Carroll is a documentary filmmaker, photographer, and teacher, whose work mainly focuses on culture, community, and storytelling. In past projects, Cohen-Carroll has explored subjects as varied as stretchmarks, family lore, dancing monks, community gardening, fair wage rights, and prison abolition. She is also the Artistic Director and co-founder of Mustard Seed Film Festival, the first South Asian film festival in Philadelphia. Through her art and through Mustard Seed, she seeks to bring underrepresented stories to Philadelphia. Julia Coletti is a sophomore at Haverford College majoring in Political Science with a minor in Visual Studies and concentration in Peace, Justice and Human Rights. 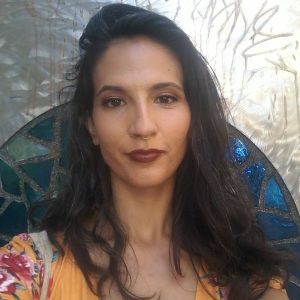 Hailing from Long Island, New York, Julia brings to this project a passion for filmmaking and interest in the role of media as an affective device for storytelling and connection, social justice, and the interrogation of history/truth. At Haverford, Julia is a member of the Track and Field team, is a Customs Person, and student assistant at the Hurford Center. In her free time, she can be found working as a graphic designer and rock climbing, but not at the same time. 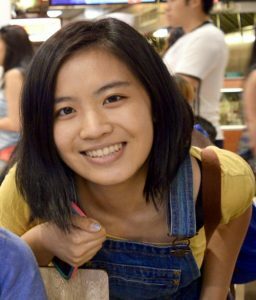 Jixin Jia is a rising junior in Haverford College. He is a sociology major and visual studies minor. 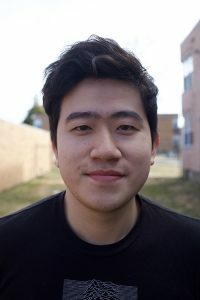 He was born in Shanghai, China and proud to be one of the International Student Resource Persons in his sophomore year to help to bond the international students’ community of Haverford. He speaks Mandarin, English, and French. In the past, he has done several short films including one documentary about the street performers in Philadelphia, a narrative film about the second-generation immigrant experience and other small projects. He is also a board member in Pan Asian Resource Center (PARC), providing support to other Pan-Asian affinity groups and facilitated conversations within the community. He is living in Music and Arts House now. 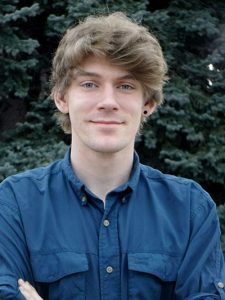 Eddie Ogborn ’19, from Littleton, Colorado, is a recent graduate of Haverford College with a B.A. in Comparative Literature. Giving the major a visual studies spin, Eddie focused on film theory and documentary production classes. 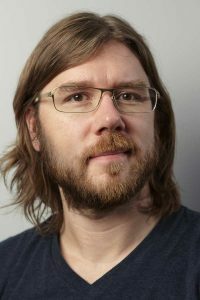 His thesis on novel-to-film adaptations explores the relationship of two metafilms to the cinema industry in the postmodern era. He is passionate about discussing and producing documentary and experimental films–his most recent film, Dianna, is about one woman’s experience with grief and personal transformation following the death of her husband. Some examples of his work can be found on his YouTube channel. Eddie was a Fellow with DocuLab 2018, which produced the web series Dizhsa Nabani, an exploration of indigenous Zapotec language and identity in Oaxaca. His other passions include Spanish and French languages and improv/sketch comedy. He is thrilled to be returning to the DocuLab program as Production Coordinator, and is excited to create with this extremely talented team. 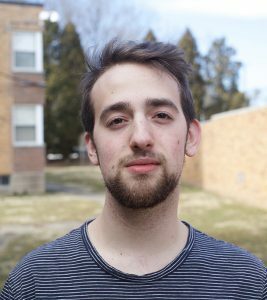 Cole Sansom is currently a Senior at Haverford College majoring in English with a minor in Film. He has taken many video production courses and produced many films, including “Vector & Me”, which was featured in the 2017 Tri-Co Film Festival, and “Somatic”, a multi-channel installation piece that was displayed in April 2018. Last summer he was awarded a fellowship to work as a digital archivist at Philadelphia’s “Media Mobilizing Project”. During his time at Haverford Cole has worked as a photographer at the communications office, and has written, acted, and made short films for sketch comedy group Off the Spot. 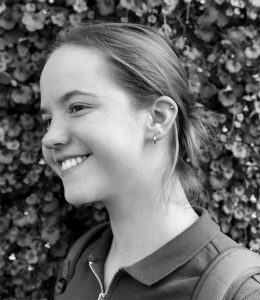 Grace Sue is a Junior at Bryn Mawr College. She is from New York City and majors in the Growth and Structure of Cities and minors in Film. She has taken two production courses at Haverford and has enjoyed film production and post-production ever since. Over winter break she externed for a Brooklyn-based filmmaker and producer who is currently working on a documentary on microbes and their impact on humans’ health. Grace is currently a Dining Hall Supervisor at Erdman. She is also a member of Bryn Mawr’s Choom Boom, a k-pop dance group and has performed in the Spring Showcase in the past. She has worked on two films in the past months and plans to submit them to the upcoming Tri-Co Film Festival this year.